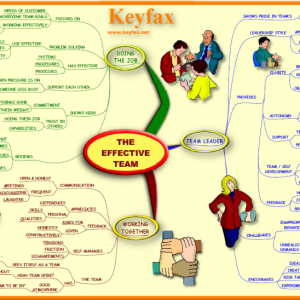 A Mind Map showing the roles and personalities that can make an effective team. 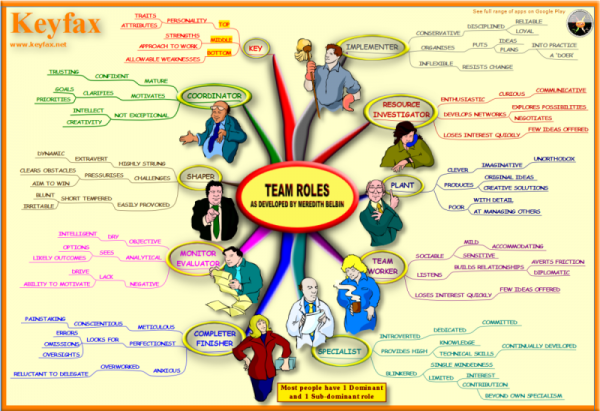 Based on the Team Roles model developed by Meredith Belbin. 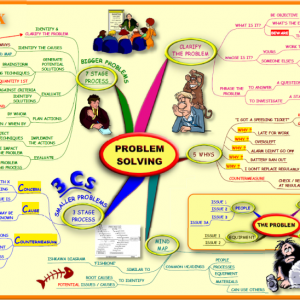 A Mind Map the 9 Team Roles as developed by Meredith Belbin. A good soccer team needs strikers, midfielders, defenders and a goalkeeper. A team of 11 strikers might sound good, but they would not come home with many trophies! Likewise, any team in a work environment needs people with different skills and capabilities to make it perform at a high level. 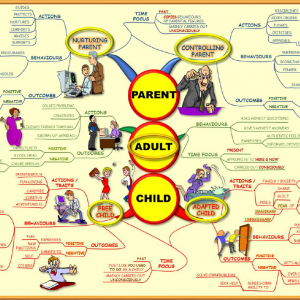 This Mind Map will help you identify your own and others primary and secondary roles, and the roles that you are least comfortable or effective with. Use this handy Mind Map to help identify your own and your colleagues’ dominant team roles. 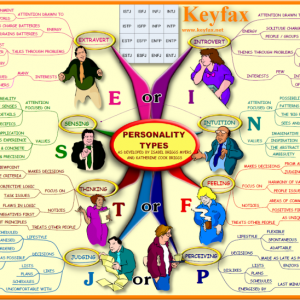 See where the similarities and differences are – and why you might or might not always be in harmony with those you live and work with! For managers, this knowledge of team roles can help you allocate work to team members that suits their preferred style, and thus make them work more effectively and with higher motivation.